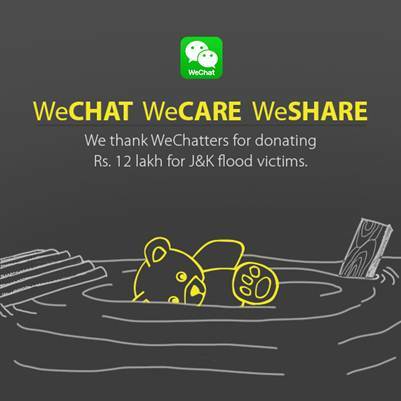 In light of the recent tragedy in Jammu & Kashmir, WeChat users have extended a helping hand by contributing over Rs. 12 lacs in a recent promotion to support all those impacted by the floods. Last month, WeChat launched its ‘Friends n Rewards’ campaign through which the users could earn free mobile recharge up to Rs. 150 by completing a number of activities on WeChat. 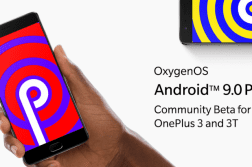 Through this initiative, WeChat also introduced the option to donate Rs.10 towards the Jammu & Kashmir flood victims at the time of redemption. WeChat saw a hugely positive response from its users and have collected a total of 12 lacs which will be donated to the Prime Minister Fund and will be used to help those affected by this natural disaster. WeChat, a popular mode of communication amongst the youth of the nation, has consistently been committed to supporting natural disaster community efforts as a platform. WeChat’s Real Time Location sharing feature, has also proven to be very useful in ensuring women’s safety, as users can share their location in real-time with their siblings, friends and loved ones while they’re travelling.